How to prune deciduous trees? Nature’s most beautiful dance. I just love the combination of the naked skeleton, stunning blossoms and finally the reward of sweet fruit. Everyone should have at least one deciduous tree in their garden. 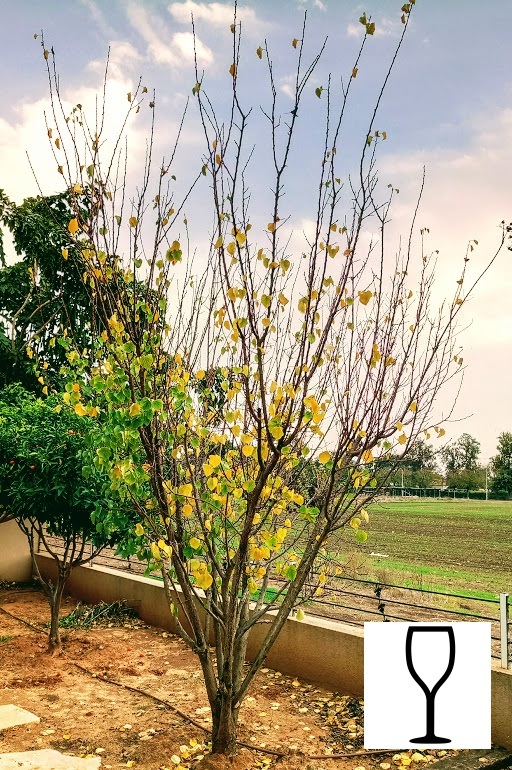 Before pruning - generally speaking, to keep your tree (any) healthy, strong and fruitful, in your home garden for many years, all you have to do in terms of pruning is maintain the following routine, which is easy to follow and requires only few minutes. Trim – when you want to keep the tree low enough so it’s easy to care for and easy to reach the fruit. Dilute – this allows air and sunlight to penetrate the tree’s center. It’s healthy and encourages more blossoms which become fruit. 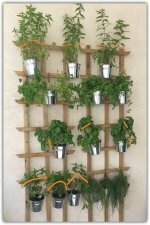 Train your tree – Training your tree at young age is always better and easier, and the most common and recommended growing method is known as the "WINE CUP" (it’s a shape, not a dietary recommendation). 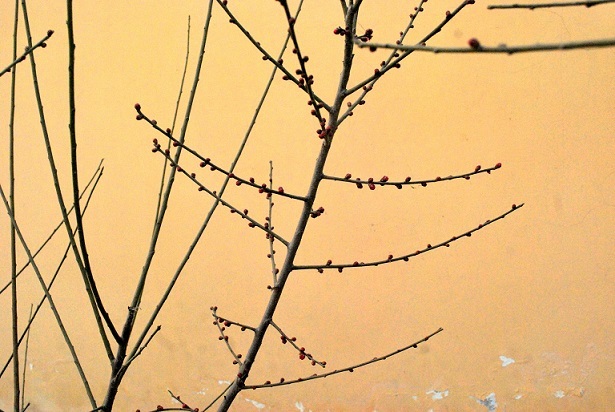 See the picture of my apricot tree? Notice its shape and the shape of the wine cup icon on the bottom right. Take a look at the main trunk, and see how only a few inches from the ground it splits into 3 - 4 long stems that grow to the sides and makes the tree wider - that's what the "cup shape" is all about. That’s what most deciduous fruit trees should look like. When you train your tree to look and develop into this shape, it will always allow you a better view of the inside of the tree. This makes it easy to clean and prune when needed, and, more importantly – it makes fruit picking easy. Note: This specific apricot tree is too high, so in a few weeks from now I do plan to trim it down to about half of its current size. I plan to clean and remove dead stems and cross branches and allow new low growth to take it’s natural course. When is the best time to prune deciduous trees? When is the best time to prune? generally speaking, you will probably prune twice a year. The first time would be just before the end of winter, just before or as you begin to see the buds slowly pushing through the tree’s stems. The second time would be around mid-fall, as part of your winter preparations. There is no reason to prune a deciduous tree in summer, maybe only after a fruit cycle ends, but I’ll talk about that later on and I’ll make it specific to each type of deciduous tree.